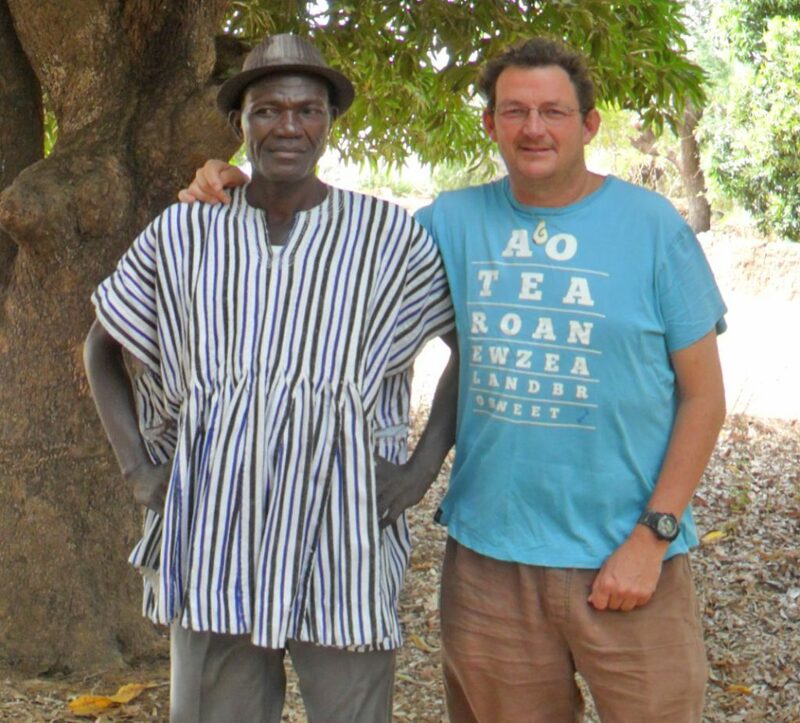 The idea for a UK charity, which would work solely through African grassroots organisations was conceived under a mango tree, in Ghana, by New Zealand-born Mike Sansom and Ghanaian Philip Ayamba. In 1996, Mike and Philip were both working for the same NGO (which shall remain nameless) and had been travelling from Bolgatanga to Bawku in northern Ghana when their motorbike broke down. Mike and Philip spent a whole night under the stars, discussing their vision of social justice. Mike, who had come to international development via activism (he’d been involved in the anti-apartheid movement in the 1980s), was already questioning if the BINGOs (Big International Non-Governmental Organisations) were having any sustainable impact and whether they were, in fact, the new colonialists. Mike and Philip both agreed in ‘African solutions for African problems’ and kept asking themselves, “What if the initiatives really came from Africa, rather than from the funder?” And, so, the idea of African Initiatives was born. African Initiatives was established in 1997. At first, the charity worked out of Mike’s bedroom (he was now living in Bristol) and small pots of money were sent to Philip in Ghana to support various small-scale projects. Campaigning played a huge part at the beginning – co-ordinating local boycotts of Nëstle’s promotion of powdered baby milk in developing countries and supporting the Rural Media Network and northern Ghana’s first local paper, the Northern Advocate, which is still going strong today. As a young charity, we punched above our weight, and it paid off. The late South African anthropologist David Brokensha, who wrote about development in sub-Saharan Africa and established the then influential Institute of Development Anthropology, came on board. So, too, did Australian social scientist Charles Lane, who had long studied and advocated for the rights of Barabaig and Maasai pastoralists who were being evicted from their ancestral lands to make way for conservation and tourism. Within a year of registering as a charity, African Initiatives secured funding from the Big Lottery Fund and Comic Relief, which was transformational. 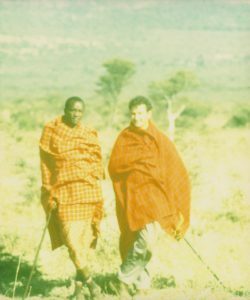 Initially, the focus was on land rights for the Maasai in Tanzania and livelihoods in Ghana (our very first project was a rabbit breeding programme in Tamale, Ghana). Then, one day, Becky Seidhu, a member of the Zuuri Organic Vegetable Farmers Association in northern Ghana made her voice heard. Sixteen-year-old Becky stood up in front of village elders and announced that she would never get married while there was domestic violence in her community. “No-one had ever dared say such a thing,” says Mike. 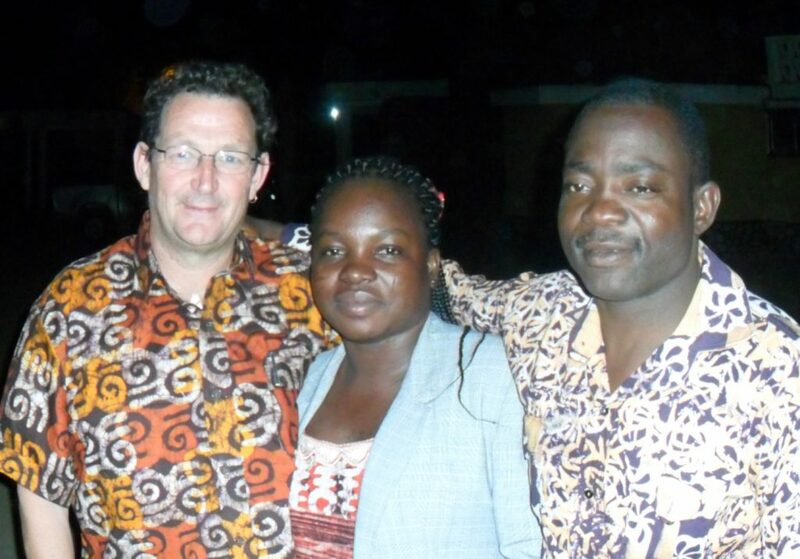 “So Philip and I agreed that African Initiatives should support her belief and bravery in any way we could.” Becky became a member of staff, working with women on issues such as economic empowerment, family planning and domestic violence. Thereafter, women’s empowerment was at the heart of all African Initiatives’ projects. At African Initiatives, we believe more than ever in our founding principles. For 21 years we have taken a rights-based approach to our work with a clear vision of empowering marginalised women and girls, individuals and communities, to demand and exercise their rights. We are still passionate about women’s rights, land rights, livelihoods, sexual and reproductive health, girls’ education and eradicating gender-based violence and harmful cultural practices such as female genital mutilation and early forced marriage. We are also still committed to working in partnership. In fact, in 2017 we made the difficult decision to phase out our work in Ghana so we could expand our organisational capacity in Tanzania; the opening of our new office in Arusha in 2015 means we are now better placed to offer in-country partners greater support.